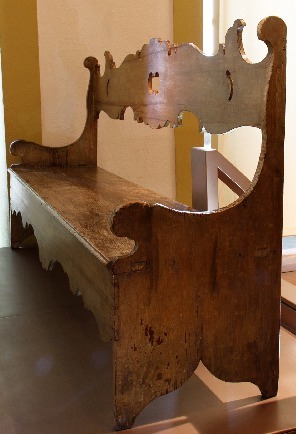 Homes in eighteenth-century Minas Gerais contained much less furniture than homes do today. 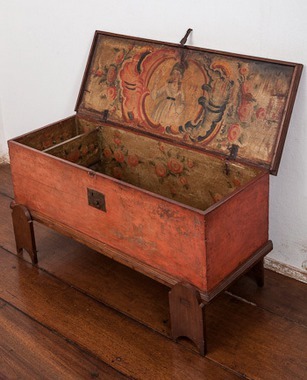 The majority of the furnishings served for storage, often with locks to protect the belongings within. Homes had few beds and seats. It was customary for women to spend their time seated on the floor on mats or cushions rather than in chairs. 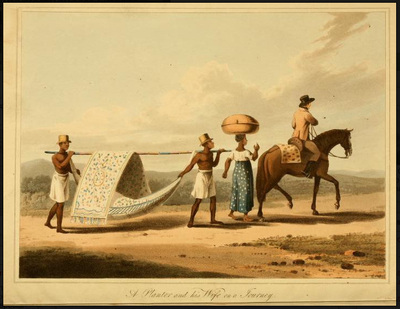 Since it was difficult to transport large, heavy items to Minas Gerais, most of the furniture was made locally. There was plenty of high-quality hardwood available. 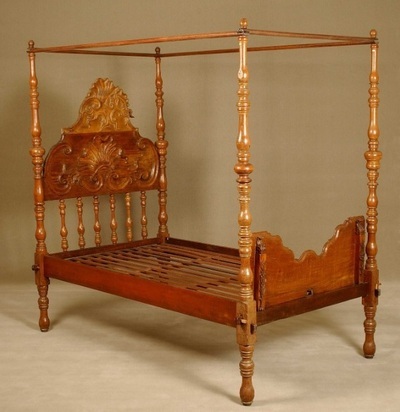 When made of a valuable hardwood, such as jacarandá, furniture was typically elaborately carved. Pieces of furniture made of less expensive woods were frequently painted in bright colors.